The National Championship took place in Lysá this year. Our stud was represented by Plamp Primrose and Plamp Jemima. Even though Primrose is a year younger than Jemima, they competed in the same class. The show was judged by Mrs. Diana Johnston. Rosie was more successful, she won the class and she became the Junior champion later on. 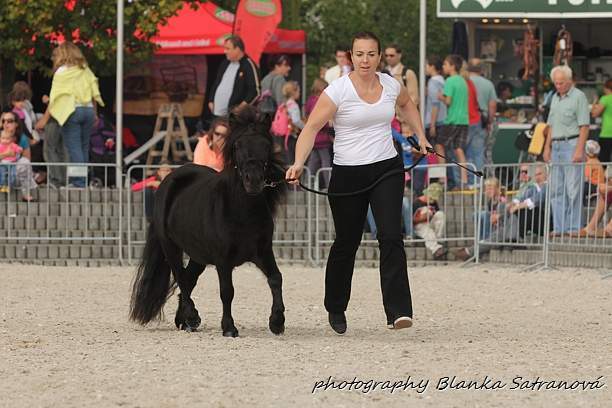 We took part in the Shetland pony show in Pardubice. We felt confident and decided to show all four young girls (Plamp Jemima, Plamp Jo, Plamp Penny, Plamp Primrose). It was very difficult to wash and brush them and it took ages. They spent the night in the shelter to stay clean. Unfortunately that didnt work and I thought I was going to faint when I saw their dirty fur. The weather was excellent. Quite warm and sunny. The judge was Táňa Bruková. 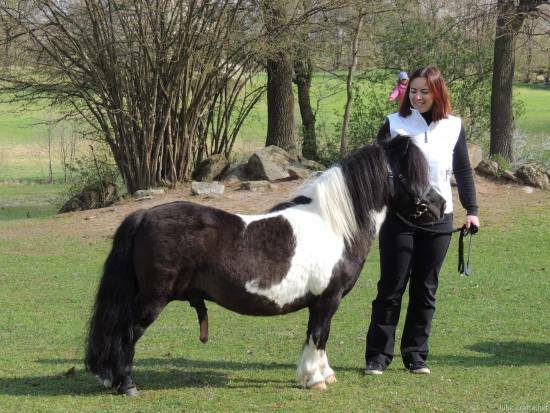 The best of our ponies was Primrose, that won her one year old class, Jo was third. 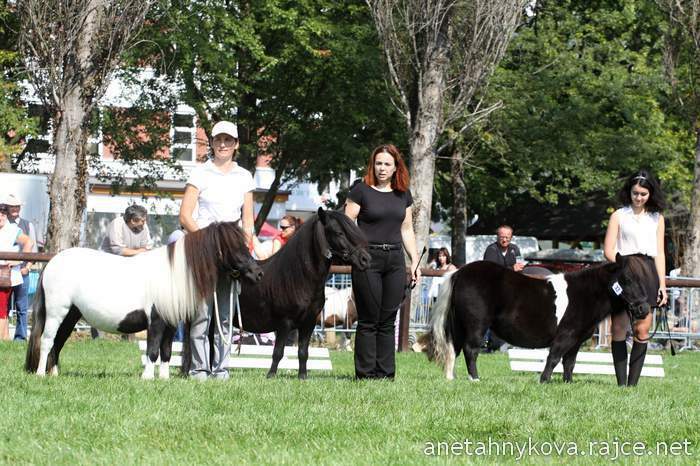 Jemima and Penny were third and fourth in the two year old class. Id like to thank Renata Marková and her team for great show organisation. 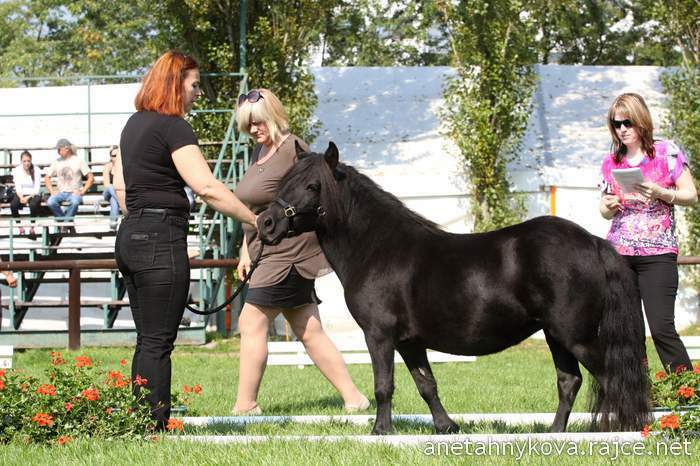 I was present at the stallion license in Kadov today. Its been quite cold and rainy recently but fortunately it was sunny today . There were seven stallions to get the acceptence. Fortune was strangely nervous and restless. He didnt want to stand still but he got around at the end. The jury was quite strict. Five stallions made it through and got the license.The other two stallions might try again next year. Fortune received 7,5 points in total. His withers height is 95 cm, his girth of tibia is 15,5 cm. Im offering mating a mare. All of Fortunes fillys have been piebald, most of them girls. You can see four of his daughters born in Czech republic on my website (profiles or news). His daughter Plamp Penny is for sale now. 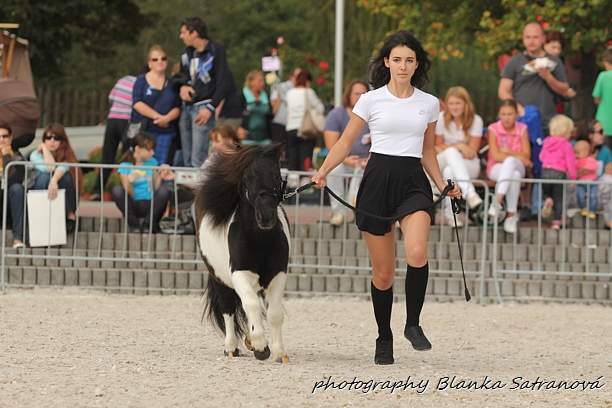 She is two years old and has been very succesful at championships. I loved the License event mostly because I had met my breeder-friends after a long time. Id like to thank Lucka Kočovská for great organisation and beautiful photos. I was very suprised when I got up. There was an extra stallion in the fence. It wasnt hard to search the owner of the staliion, it was the farmer from the neighborhood. The owners of the farm are desperate since somebody keeps destroying their fences. 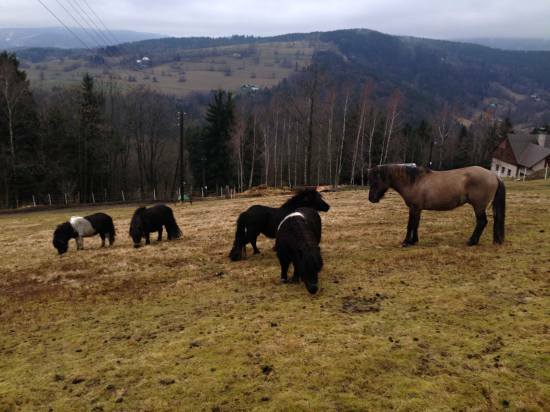 The big herd of young stallions and geldings is hard to calm down and get back to the farm. The owners came and got him. The thing was that the stallion was wild and they couldnt catch him. I had to put the mares into the barn otherwise he wouldnt have been caught. 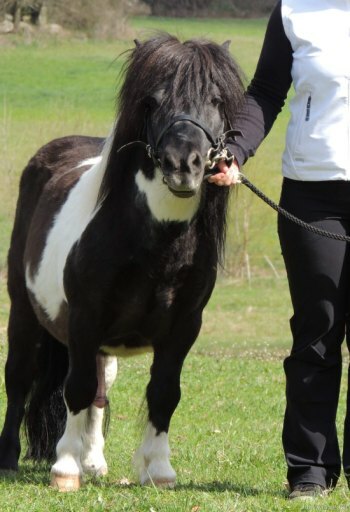 I hope we wont have a foal since Jemima ruts.